Enjoy recreation amenities such as an indoor pool or take in the view from a terrace. Additional amenities at this hotel include complimentary wireless Internet access, concierge services, and babysitting/childcare (surcharge). Guests can get around on the shuttle (surcharge), which operates within 60 km. 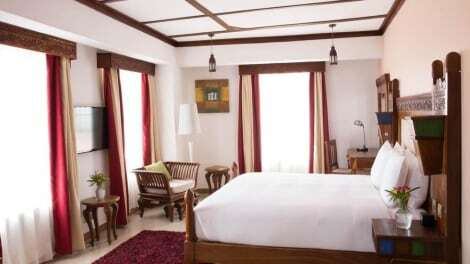 Nestled in the heart of the UNESCO World Heritage Site of Stone Town, DoubleTree by Hilton Hotel Zanzibar - Stone Town is the perfect base from which to experience the sensory Island of Zanzibar. 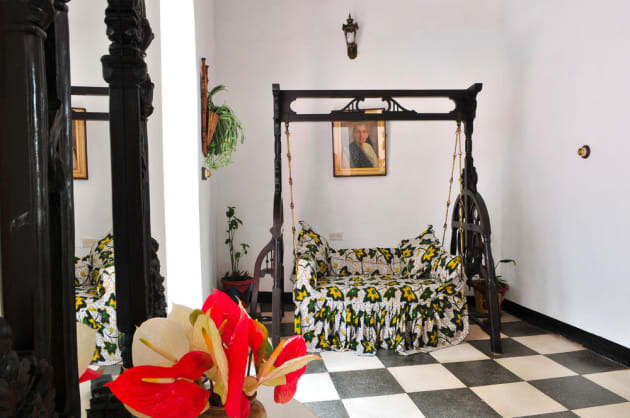 Formerly the Old Court House, the hotel has now been restored, developed and decorated with traditional Zanzibari influences. Just 20 minutes’ drive from Abeid Amani Karume International Airport, this inviting Stone Town hotel is set amongst historic buildings and offers easy access to vibrant markets and Stone Town attractions, including the Sultan’s Palace and the House of Wonders.This charming Stone Town hotel provides the ideal setting for impressive business and social events, conferences and weddings for 6 to 200 people. The conference center offers eight versatile meeting rooms and breakout spaces, a complimentary 24-hour business center, contemporary A/V facilities and inspired catering services. The top floor of the conference center is a tranquil, open space, flooded with natural light and offering magnificent views over the city.Unwind in a comfortable guest room or suite, beautifully decorated with traditionally hand-carved furniture and equipped with everything you need to relax and stay productive. Stay connected with complimentary WiFi, browse channels on the 40-inch TV and work in comfort at the spacious desk.Savor delicious European specialties in the stunning rooftop bar and restaurant or sip a glass of wine as you admire splendid city views at sunset. Our friendly staff look forward to welcoming you to our hotel in Stone Town with a warm chocolate chip cookie on arrival.